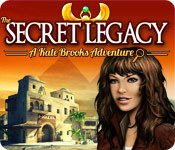 The Secret Legacy: A Kate Brooks Adventure is rated 2.8 out of 5 by 13. Rated 4 out of 5 by gamefan10 from This game is a challenge This game was enjoyable to play, but it was also very challenging. Kate's grandmother was an archaeologist, and she died before completing her biggest discovery. Kate goes to Egypt to take over where her grandmother left off. 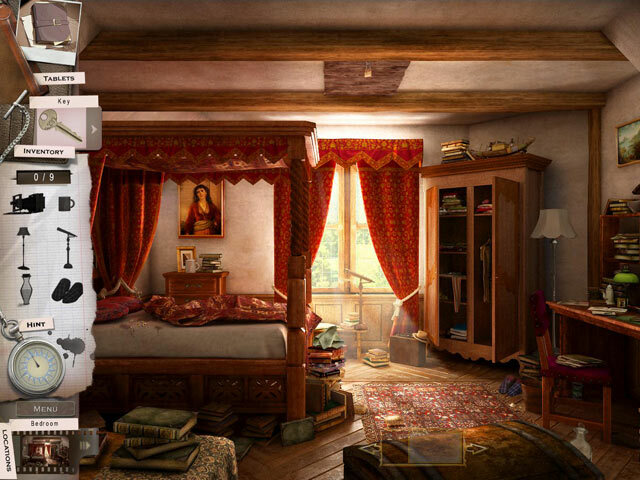 The HO scenes were interesting, being able to move them from side to side, but the objects were so well hidden that I quite frequently had to use the hint button. It took a long time to recharge. In each scene there were multiple things to do. There were two lists of objects, silhouettes, and then one or two activities. It was very challenging at times to figure out what you were supposed to do next. There was some backtracking, but not as much as in some of the newer games. One thing that irritated me about this game was that I would at times click several times on an object, sure that it was what I was looking for, but nothing would happen. Then I would click the hint button and it would go to that object. If I clicked in just the right place it worked after all. I thought the story line was interesting and well done. This is not the most exciting game in the world, but I enjoyed working out all the steps and felt challenged to find all the objects. I do recommend this game. Rated 4 out of 5 by grunny50 from Either Love It Or Hate It I loved this game. I noticed that some reviewers didn't care for it. Personally, I found that the HOS's were a little tough in places, but I liked the challenges. The scenes were very nice, and I like the scanning ability where you can move to the right and left and see more of the scenes from different perspectives. I enjoyed the puzzles and the characters, and got plenty of play time. Good game for me. Rated 4 out of 5 by Rescue_helo from Visually impeccable I believe that this game can have its place in a HOG lover's library. I prefer adventures but Secret Legacy fascinated me during the whole of the demo. The reason ? Its graphics: stunning ! So neat, so crisp, a palette of soft, extremely subtle colors, almost pastel in places, with a variety of beautiful hues. 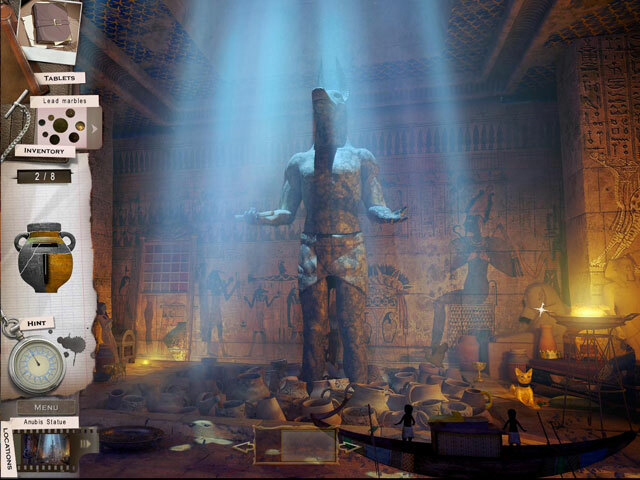 The panoramic view is another of its nice features: the Virtual 3D enables you to scroll each location left and right. The effect is superb. But the scrolling has another purpose: several hidden items can only be found by changing the viewing angle. Secret Legacy is a pure HOG. Very little action and only a couple of puzzles ! On the easier of the two modes, hints help you with the HO Scenes but won't give directions or tell you what to do next. In fact each location is a HOS, and in addition, within them, clicking on a hot spot opens another HOS. These HO Scenes are neat, yet many items are small and difficult to spot. They are given in a list or as black silhouettes Due to the linearity of the game, there is no bactracking. As you go along you collect egyptian tablets which provide some information on the history of Egypt and serve as a diary. The puzzles are by no means the strong point of this game; all are classics: tangram, slider [parking-lot type], gears..... The intro is a bit weird, cartoonish but pleasant nonetheless. The intro music is very strange, and parts of the in-game soundtrack quite amusing. I would recommend Secret Legacy to all those who are particularly keen on hidden objects, or are looking for a rather relaxing game, hence my 4 star rating, but die-hard adventurers like me will probably neither appreciate the linearity, the absence of action, the rare useful items, the too small amount of puzzles, the lack in variety of locales, nor the fact that the game doesn't require much thinking. Still, it is really worth a good look, so the best is to play the trial version and take it from there. Rated 3 out of 5 by mystery65 from Objects I cannot even get through the first level. When I click on the Bat nothing happens it just sit there. I know it is the object needed as the hint goes right to it.it is a shame that I am not the only one that has noticed this problem. Rated 3 out of 5 by jmcbeauty from Not my cup of tea Visually the art and the music were good. The storyline didn't tell me much of anything and I got bored within 15 minutes. The hidden objects were difficult to find, one because of there size and secondly because everything was junked up and also all small in size. When I used the directional arrows at the bottom to get to the other side of the room, I kept getting the "freeze" situation because I had clicked to often. There was no directional information and you had to guess where you were going next. It was an okay game, but I wouldn't recommend it. Rated 3 out of 5 by rahil712 from nothing much to speak of game play is ok... nothing much happening .. story is very poor.. could have been better... graphics of game just mediocore.. will let his pass by .. no thanks.. Rated 2 out of 5 by denniann2 from i didn't like this game this is the lowest score i can remember giving a game. i went back through the reviews and it didn't seem like the same game they were reviewing. the scenes were dark and hard to find HO and the objects were very small. i don't play with sound so i can't rate that. i would not recommend this game for any reason. save your money for something else. i was really disappointed because i bought the game due to the reviews and they weren't all that great but a few talked about the good graphics and i didn't see that anywhere. the hint and skip were slow in charging. i just didn't like it at all!!! Rated 2 out of 5 by Lao_Zi from Totally boring Just one HOS after another, with objects that sometimes are so tiny or so blended into the background that it is hard to find them, even with a hint. Two kinds of HOS in the same location, one with a list, one with silhouettes. Boring, boring, boring. The hint button takes a full two minutes to recharge. The minigames are ridiculously easy. The only plus to this game is the graphic quality. As for the rest, no need to bother, unless you are totally into HOG. Rated 2 out of 5 by bjrb from The secret Legacy: A Kate Brooks Adventure Could possibly be a fun game if some of the hidden objects weren' so hard to click on to; and this is not a technical issue. 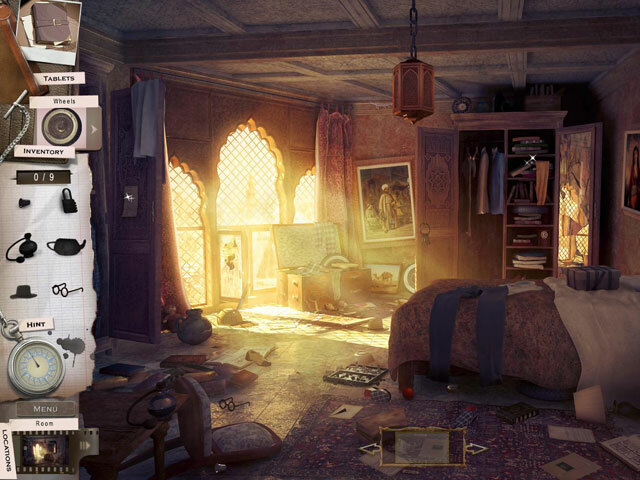 Explore Egypt and discover The Secret Legacy of Kate Brooks’ grandmother in this exciting Hidden Object Adventure game!